From a lightbulb to a lighting package, G&G should be your lighting supplier, representing all major lines including Lightolier, Halo and Juno. See our lighting line card for a complete list. 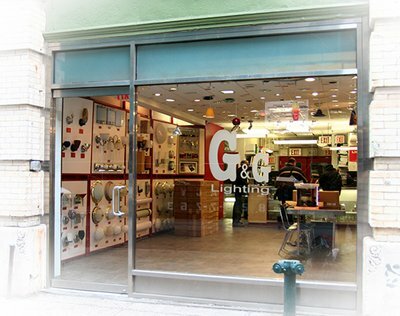 G&G acquired the venerable Brilliant Lighting in 2006 while expanding into an enlarged lighting showroom, making G&G Lighting the place to call first. So, if you're tired of lethargy and overdue quotations, give G&G a call. Better yet, email your blueprints or specs for a take-off and quote.